Banner at July 16th ACE Open House. Back in the 1970s, Millard Fuller had a simple but elegant idea – a program in which people could earn decent homes through a combination of interest-free, low-cost mortgage payments and sweat equity labor. More than 500,000 homes later, Habitat for Humanity is going strong, both in the United States and around the world. A tall gangly guy with a down-home manner, Millard was a dynamic and imaginative entrepreneur who’d become a millionaire in business with Morris Dees. Then he and wife Linda left their business to work for the less fortunate, ultimately going overseas to Zaire as a missionary and creating what would become Habitat – while Dees stayed back in Montgomery and created the Southern Poverty Law Center, which, among other things, investigated and sued white supremacy organizations on behalf of victims, trying to drain racist organizations of its cash reserves. When people start slinging the community service vocabulary about, we talk a lot about “compassion” and “love” and “justice” – the big obvious principles that help inspire us to action. But the reason that the stories of Fuller and Dees intrigue me is because of other virtues – specifically creativity and imagination, opportunism and optimism. In my own life, it’s easy to see compassion and creativity as separate aspects of my life – writing over here, service over there. But whenever I start to fall for that fallacy, something happens somewhere that reminds me of how intertwined imagination and advocacy can be. This week I was reminded of two such stories right here in Worcester. 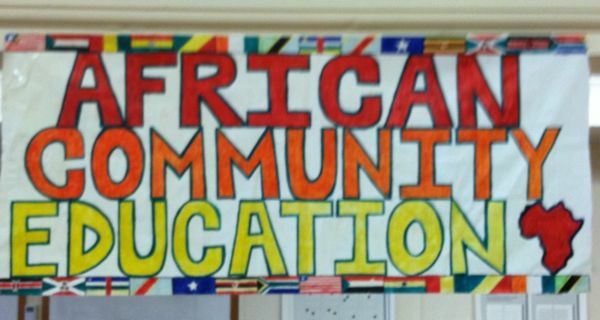 On Monday July 16th, African Community Education, now six years old, celebrated the end of its first year in its new location, at 24 Chatham Street. A little more than 24 hours later, the city declared July 17th as Friends of Newton Hill Day, in honor of the 10-year-old organization dedicated to maintaining and improving the wooded hill across from Elm Park. ACE owes its founding to Kaska Yawo, who, only seven years ago, escaped the violence in Liberia. Within a year, Yawo began working to address the needs of the refugees and children of refugees in Worcester. Since African children were thrown into the public school system by age, rather than by their experience with English, Yawo pushed for the creation of ACE to help bridge the gap. Now 32 ACE children have graduated from high school; many of them are now in college. 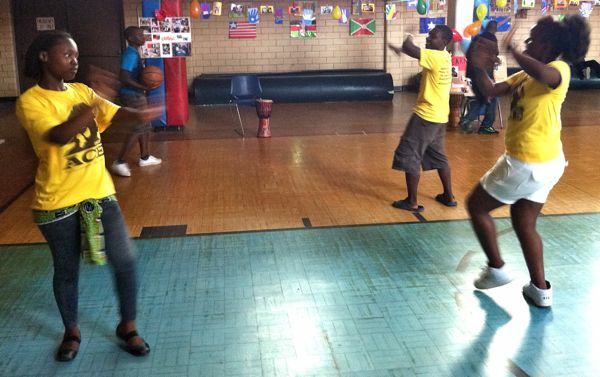 The Monday open house was a collaboration of those young people from Africa and the folks from Worcester who taught them; visitors toured colorful classrooms and offices, as well as a gym in which kids performed their own blend of dances from East, West and South Africa. After an awards ceremony, an audience of more than 50 heard from ACE students Regina Moore – who designed the cheerful and smart series of ACE t-shirts over the years – and David Sarpee, now a student at Quinsigamond Community College. Newton Hill, of course, has an open house seven days a week – all you have to do is walk into the woodland from Pleasant, June, or Park streets. Wind up the hill in easy gradual circles, or get your heart racing quickly with a straight shot to the top. You can bird watch or dog walk or, for that matter, play disc golf. It’s all a dramatic contrast to 11 years ago, before FNH, when the woods featured fewer trails, all of which were overgrown and strewn with trash. Then Rick Miller took his kids there and, appalled, decided to create an organization, building a coalition of many whose lives were touched by the hill. I could write much more about either organization – and probably will. But for now, I just want to pay tribute to the Kaska Yawos and Rick Millers of the world – and all those willing to roll up their sleeves to turn a good idea into a redemptive reality. 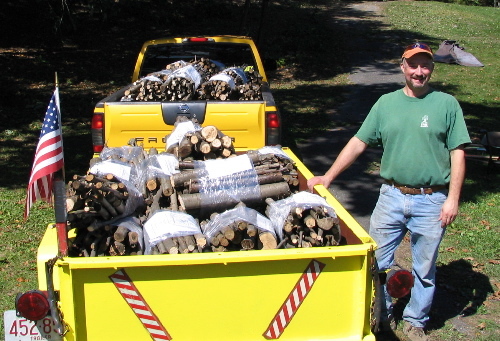 Rick Miller amid one of his Newton Hill spinoff projects – selling firewood created by clearing off trails. So apparently I missed the boat on this one, but yay! Love the ACE kids, and David and Regina are such lovely people (I think they were both at ACE pretty much every day throughout their HS careers)! Thanks for such a great article Mike! I’m glad that you enjoyed the Open House and we appreciate your continued support of ACE!